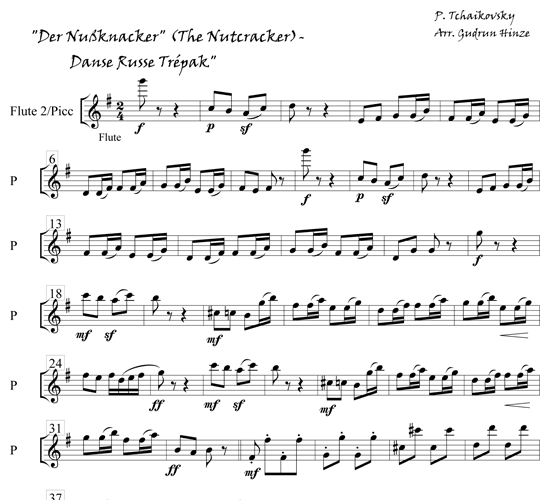 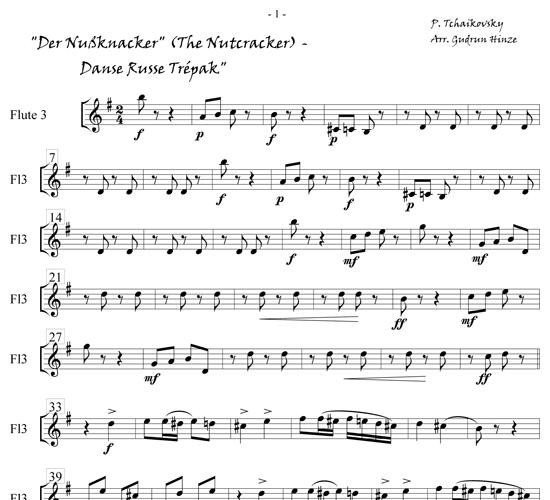 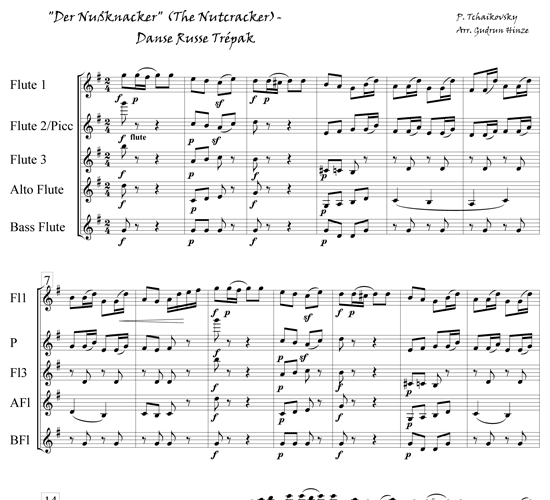 Peter Tchaikovsky originally wrote this work as a Christmas family theater piece for his brother Modest, patterning it after a story narrated by E.T.A. 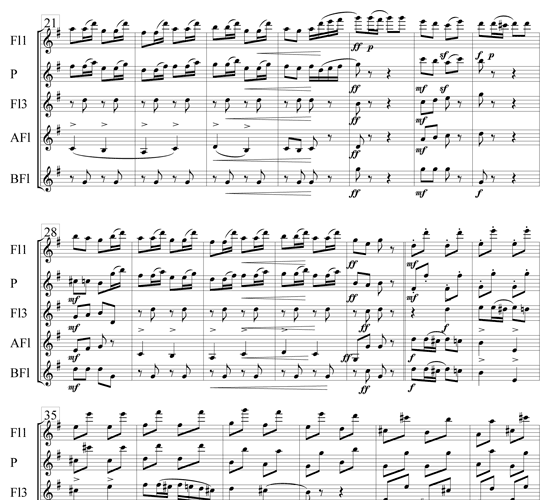 Hoffmann – and, with that, laying the foundations for a ballet that is one of the best-known works of its kind today. 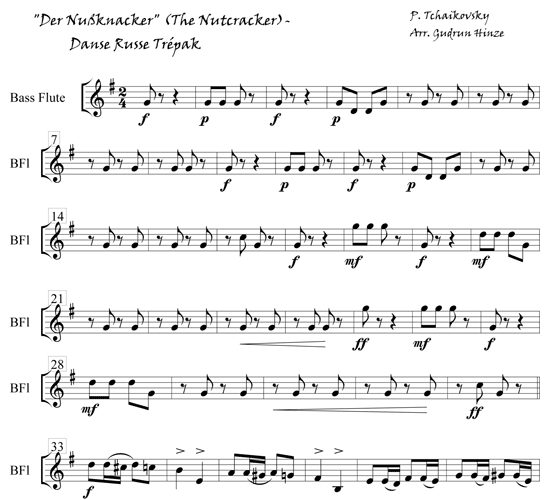 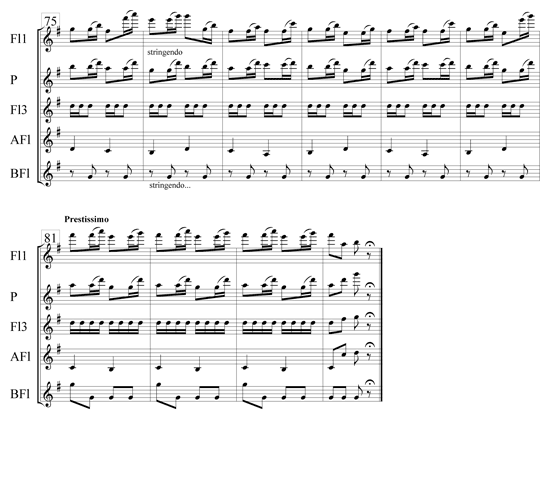 For our flute version, we have selected four characteristic pieces from among the wealth of individual movements contained in the music to the ballet. 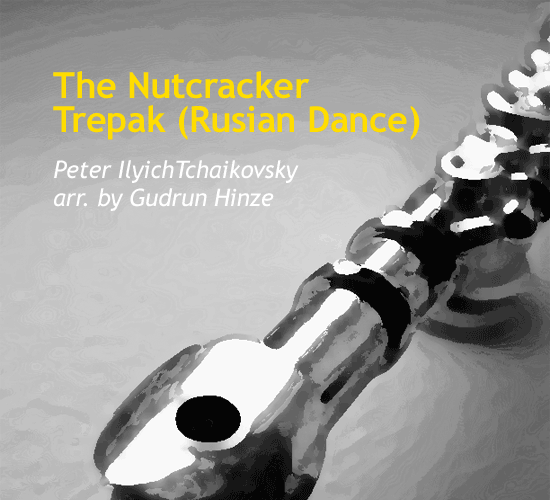 The Trepak shows a Russian dance company, dancing as a show act during the great Yule Ball of the Sugar Plum Fairy. 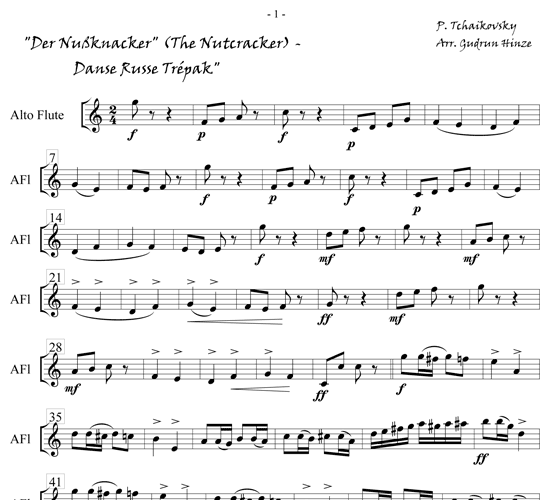 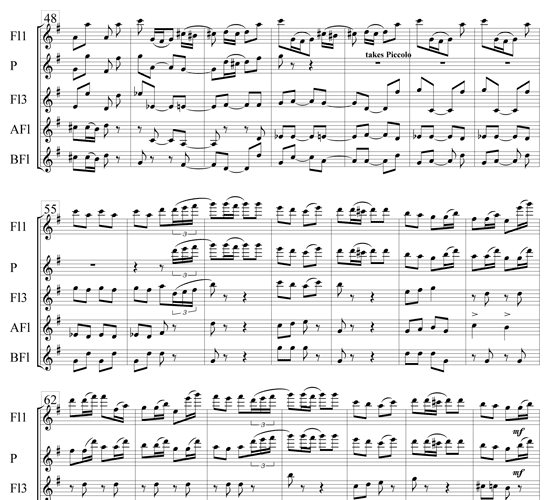 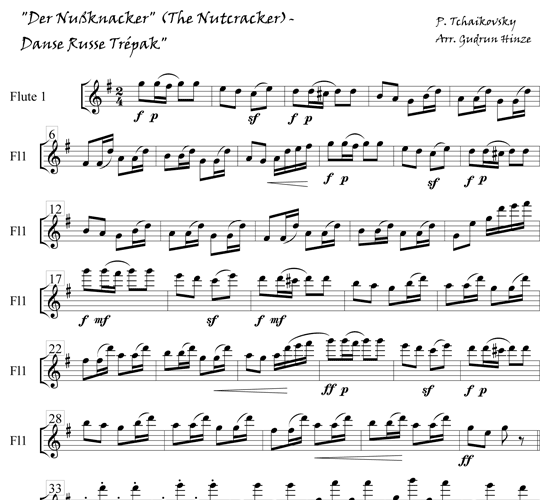 This could be a sparkling “encore” and as well as one of several selections from “The Nutcracker” and can be played either by five players or by a flute orchestra.